Complex biological organisms, like humans, maintain internal balance by relying on the interworking of complex systems of organs. The health of any system requires that all it’s parts are able to adapt to each others’ needs. When that doesn’t happen, the system cannot be healthy. Both of these statements successfully capture what they set out to describe. Which one is better? You might, and not without a reason, say that it is of course the first one. After all, it is the only one of the two that has the words “biological”, “internal balance” and “organs”. And indeed, as far as descriptive statements go, it earns full credit for what it set out to accomplish. But which one (if any) left you with a want to know more? I would hope that is the second one. By not specifically mentioning anything about how complex biological organisms work, but still accurately describing it, it was able to do ­something bigger – to extend itself beyond what it was responding to. That second statement is what is often referred to as a “Big Idea”, the anchoring point that gives us reason to learn and teach any particular topic. By broadening this anchoring point beyond the limits of the topic that it is coming from, we can increase the chances that what we learn could be used to think about issues and questions that have nothing at all to do with that topic. Few things are as universal as the importance of balance, and few things require the complex sets of interactions that the maintenance of balance does. In turn, the only way to understand these interactions, is to first learn how each part of the system works, and how it plays a part in the maintenance of that balance. The more evidence we acquire about the different parts of a system, the better we can understand how it works, the better decisions we can make decisions about how to keep it healthy, and the less likely we are to believe claims that don’t correspond with our evidence. From biology to whatever else we might feel passionate about, everything is ultimately subjected to the same rules of inquiry, and can benefit from the same models of understanding. This entry was posted in Uncategorized on February 9, 2018 by Victor. What would it be like to see the world like a bat? Bats are truly fascinating animals, and not only because they are they only mammals who have wings. Bats also have a very unique way of perceiving (seeing) their environment. Even though bats have perfectly good eyes that they use to navigate their surroundings during the daytime (nope, bats are not blind), they don’t actually rely on them when they are hunting for food. You see, bats are nocturnal, meaning that they spend most of their waking hours during the night, when their eyes can’t actually be of much use. 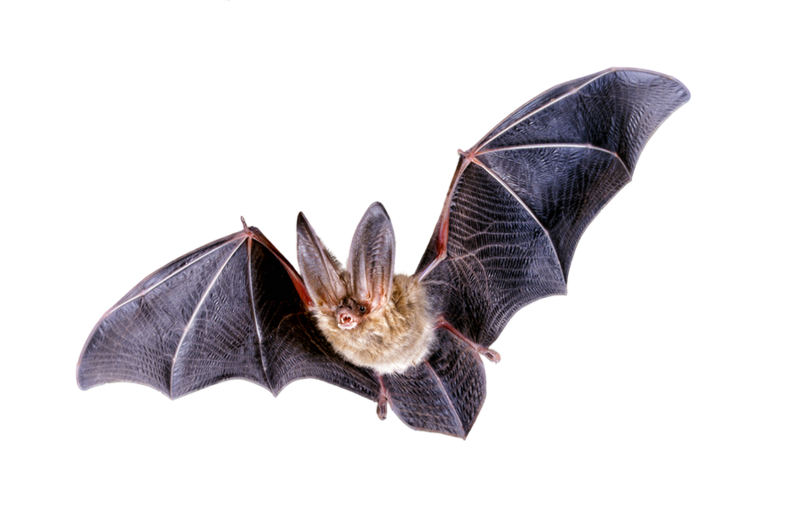 Instead, at night bats rely on what is called “echolocation” (“echo” meaning sound, and “location” meaning, you guessed it, location). That is to say, bats generate sounds, and use information about how those sounds echo (reflect) from different parts of the environment to understand what’s around them. Try to imagine how different an echo-located world would feel from the world that you and I live in. 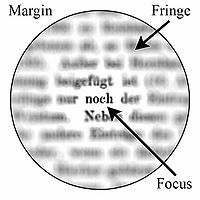 As you are reading this blog post, your eyes are seeing (perceiving) a very specific part of your environment. Your eyes can only detect the light in the area that you are currently looking at. And while you can probably see quite a bit more than the boundaries of your screen, your attention is most likely devoted to it, and you are likely not noticing much that is around it. So not only do your eyes respond to a small part of the environment around you, your brain, which is where all this visual information is being used, can only handle a small part of it. The bat creates a sound wave, which is reflected from every surface in the environment that the sound wave hits. This means that the bat’s attention needs to be as broad as possible. Many bats prey on insects, so they have to be able to detect very specific kinds of echos from anywhere in the environment. Not only that, but they also have to be able to predict how to approach the prey, based only on how these echos change over time. Can you imagine what it would be like to close your eyes, scream, and then use that information from reflected sound to catch a tiny insect? You might try, but I’d bet that you are at least struggling with it. 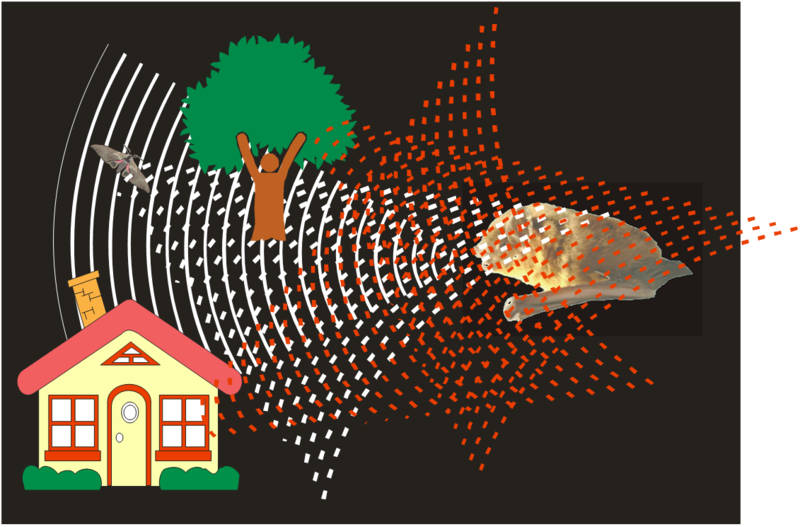 In most likelihood, neither your senses nor your brain have ever been trained to echolocate. We access the world around us entirely through our senses, and our brain’s use of the information from those senses. Each living thing in the world is limited by what their senses can tell them about the world, and what their brain can do with that information. And so while we are all limited by our sense and brains, those limits also don’t seem to be as carved in stone as we might think. To understand what is possible, all that we need to do is find out what would make it impossible, and then prod, poke, and investigate whether it may not be. So don’t take it from me – instead, go on ahead and prod away! Challenge the limits of your own perception. LS1.D: Information Processing – Each sense receptor responds to different inputs (electromagnetic, mechanical, chemical), transmitting them as signals that travel along nerve cells to the brain. The signals are then processed in the brain, resulting in immediate behaviors or memories. This entry was posted in Uncategorized on January 26, 2018 by Victor. Picture a classroom. Not the kind of classroom you’d want to be in, not the ideal classroom, and not the most innovative classroom that you can imagine. Just picture a classroom. Do you see a teacher at the front of the room? Is he or she standing knowledgably in front of a screen, or whiteboard? Are students sitting at their desks? Perhaps some jotting down notes, while a few others have their hands raised to share thoughtful questions or remarks? I want to guess that if you are laymen to the study of teaching and learning, then the answer is yes. Few schemas are as engrained as the image of the classic classroom. If, however, you are not laymen to such study, I’d wager that you are aware that the ever expanding and ever enlightening inquiry into what constitutes meaningful and lasting learning must diverge quite vastly from this schema. We have come, for example, to appreciate the importance of students’ agency, voice, and creativity in developing understandings. We’ve come to learn that ‘teaching as a performance’, in which the teacher is the target of students’ attention, is far from the ideal learning environment. We’ve come to understand that the picture of the classic classroom is at the very least incomplete, and that the habit to envision it as a target to pursue must be rejected. Habits however, as I was painfully reminded this week, tend to die hard. Though merely an initiate myself into these revealing enlightenments, I remain not a layman to these revelations. In preparing to offer my students this week insight and motivating inquiry around the topics of evolutionary relationships, and scientific classification, I envisioned the deliberation of students, the challenge of claims, and a hunger for further understanding. The result of this planning did not quite meet the vision. As I stood there in front of my classroom, students sitting at their desk, slides meticulously prepared and ready behind me, the classic classroom schema took over. The expectation of performance took over. At that moment it ceased being about my classroom, or their learning, or the fascinating topics that I desired us to explore together, and instead became about how well I’m doing. Do I sound knowledgeable? Am I keeping pace? Do I have their attention? The longer this went on, and the more introspective my attention became, the less I was able to see my students, and worse, the target of learning itself. As painful of a realization is this has been, I am grateful for it, and I am grateful for the insight that my primal egocentric response had provided me. It is one thing to know that it’s not about us but rather our students’ learning, but it’s a whole other kind of challenge to withstand the drive to make it about us. Undoubtedly, not all teachers face such a challenge, as some may have never have developed the schema of ‘performance teaching’ in the first place. Nevertheless, for those that did, I ask you to not take this challenge lightly. Old habits do die hard. This entry was posted in Uncategorized on December 1, 2017 by Victor. This week I (we – our lovely cohort) had the privilege of receiving a guest lecture from Dr. John Van Niel (try out his own blog here). While the lectures itself offered insightful and pedagogically-relevant information about the different wildlife that does, and does not, live in New York state, the real focal point was how the lecture itself was delivered. Dr. Van Niel, with almost uncanny skill, managed to route our existing sets knowledge and misconceptions with the artifacts of knowledge that he provided us with. As my recollection of the specifics of this skillful demonstration is reliant on my notes from the event (the schedule of a preservice teacher allows little time for memory consolidations), I will simply offer and elaborate on specific observations that I deemed worthy of notation. As these notes were written for my own personal use, they are written prescriptively. But as usual, please feel free to offer all criticisms that you might have about them. Whenever possible, let students hold on to their mistakes, rather than prompting their correction. Mistakes can offer a useful and insightful “breadcrumbs” that can identify the path that a student took while attempting to solve a problem. Letting the mistake remain visible can thus allow both students and teacher the opportunity to learn from the mistake by understanding how it was made in the first place. If students have different ideas from your own, try to provide them with an opportunity to prove you wrong. Few things are as universally satisfying as a chance to correct the teacher. A challenge or alternative to your own explanation can provide our students with a unique opportunity to put real cognitive effort in the authentically engaging task of supporting your point. If their argument ultimately fails, remember the first point and contemplate with them what was the error in the path to their argument. If their argument ultimately succeeds, even better – you’ve learned something new! Use surprising facts generously. We always pay more attention to things that surprise us – it’s just how we’re wired. When you have an opportunity to use a surprising piece of trivia to support a potentially mundane point – take it! Student will then likely have mnemonic relationship between the mundane and the surprising, and end up remembering both. If nothing else, students need to leave your lesson with some novel connection between the knowledge that they came with, and the one you imparted on them. We rarely remember facts; and this is doubly true when (as is often the case of school-learned facts) for decontextualized ones. Student will likely forget the name of a species, or the name of a specific kind of tooth. They are, however, likely to remember that a specific type of rat can in fact be found in the state that there in, simply because their hypothesis that all rats are everywhere is generally true. We ought not to expect students to give us the answer that we want. Rather, all that we can ask of them is that they use the sum of what they know in the most appropriate way. We need to evaluate our students based on what they know, not what they don’t. If they truly exhausted their cognitive resources, then we absolutely must acknowledge it, regardless whether they came up with the correct answer or not. FINALLY, always know the difference between the trivia that you teach, and the fundamental understanding that allows that trivia to become discoverable. The facts that we choose to teach our students are always subjected to at least some level of arbitrariness. We might choose some species, for example, to represent a population type, while another species would work just the same. We may focus on the structure of a specific enzyme, while a multitude of others would offer a very similar insight. These are all trivia. Factoids that convey examples of the principles that we ought to care about. Whether a remembers the names of species should not matter nearly as much as whether they remember the population dynamics that facilitate its existence. Whether a student remembers the name of an enzyme should not matter nearly as much as whether the understand the underlying protein-specific interactions that facilitate its function. There are few things more humbling and inspiring that seeing the thing that you do well being done well. On behalf of my myself and my cohort, I am truly grateful for Dr. Van Niel’s visit. Having seen for myself the pedagogical heights that can be reached in just one hour, I have no excuse not to reach for such heights myself. Thank you. This entry was posted in Uncategorized on October 13, 2017 by Victor. The life of a teacher is nothing if not diverse. Between different content areas, different student age groups, different school cultures, and different sets of extracurricular responsibilities, each teacher experiences her own version of what teaching is like. In the midst of this diversity, one experience bears a ubiquitous, inevitable, universality: All teachers, sooner or later, need to let their students go. It is a normal and necessary path for both teachers and students to undertake; but it is not a trivial one, for while the love that we offer, or ought to offer, our students can be free and selfless, the human attachment that it nurtures cannot. Building relationships with students intrinsically requires that we build interdependencies between us and them, and ultimately face the consequences of those interdependencies severed. Searching and exploring productive coping mechanisms to process this inherently difficult task offered uneven results. I was able to find, for example, a blog or two from teachers exploring and expressing their own personal perspectives, but a search for more rigorous exploration of this phenomenon, either from the perspective of pre-service teacher-training programs, or basic research, did not yield meaningful results. This was a surprising outcome, especially considering the explicit attention that is given in other professions to attachment-management coping strategies. The strategies that I did uncover seemed to almost exclusively focus on (the equally important) issues of stress and burnout. Last week I had to say goodbye to students. And as I process what we have shared, and try to find places for this kind of loss that I have not experienced before, I am left without a satisfying answer to how I am supposed to do it. I suppose that, like all mourning, the path to acceptance will eventually reveal itself. For now, I will simply honor this loss, and appreciate the unbridled light that it shines on what it means to be in the service of teaching. This entry was posted in Uncategorized on October 8, 2017 by Victor. It’s another fifth period, and another ELA lesson. I am at the back of the class, and students are diligently (or seemingly diligently) typing up their best understanding of the gist of a page from A Long Walk to Water that they had just read. I’m looking around, taking notes, when I suddenly notice something. One student, I realize, has found a way to activate the speech recognition function on her word processer. As she is carefully but purposefully whispering her thought-out sentence into it, the words are successfully and satisfyingly appearing on her sheet’s screen. I sit there, amused, impressed, and concerned. Few things motivate students, or anyone really, more than the opportunity to be clever, or better yet, the opportunity to outsmart whatever system that they must contend with. The student in the vignette above took an ostensibly straight-forward task – to type up a gist – and transformed it to an unarguably more complex task that involves thinking about the possibility of the availability of a voice recognition function, spending the time to find or research how to activate that function, identify a level of volume that is both sufficient to be recognized yet low enough to remain unnoticed by the teacher in the front of the class, and finally have the composure and fortitude to go through all these step while knowing that they are at the very least a violation of expected behavior. Cleverness, definitionally, is a product of authentic and goal-driven learning – the golden grail of pedagogical experience that we want our students to have in our classroom. Cleverness ought to be rewarded, encouraged, and facilitated. But how do we address the demonstration of cleverness when, like in the vignette above, it appears to be in direct violation of desired behavior and learning outcomes? The student in the vignette above may have indeed demonstrated all the markings of authentic learning, but the direction of that learning vector was unavoidably misaligned with the direction set by the classroom’s teacher – to develop and practice the spelling and grammatical skills associated with sentence construction. How then do we, as teachers, successfully respond to this kind of behavior? Attempts to puts this question to the scholarly of others have not yielded meaningful success. Recognitions of student cleverness appear to be far and between, with any use of the word “management” in my research yielding approaches and summaries that too often acted against it. Given this state of affair, I here offer a preliminary and unsatisfying answer: We recognize it all. The cleverness demonstrated in the vignette is indeed a demonstration of authentic learning, and it is also a circumvention of the desired learning outcomes. So, we accept that, and simply admit to that. We express appreciation of the cleverness, express how and why it’s not appropriate given what we want to accomplish in the context of the classroom activity, and to the best of our ability redirect this effortful cleverness in a more pedagogically-productive way. How exactly we would accomplish this last piece, of course, is an entirely different question. This entry was posted in Uncategorized on October 1, 2017 by Victor. On Gender, Roles, and Cognizance. Questions of gender, and gender-identity, have arguably never been more relevant than they are today. And despite meaningful and relevant argumentation on the different sides of this argument, the very fact that we are having it is at the very least a sign of shift in long-established norms and mores regarding what role that gender play, or oughtn’t play, in one’s identify and societal participation. While there are no strata in societal experience where the role gender doesn’t play a role, few are more relevant and impactful than the formative time that we all spend with the education system. What our teachers model, and how they model it, informs more than our relationship with the taught content, but rather with society itself. Through observation and interaction, along with other interactional modalities, we learn to understand the affordances that are available to us, and the roles that we are expected to play within them. To our credit, conversations about how gender and its implied roles impact our students, is a question that has begun to receive welcome attention. But despite this attention, and its subsequent calls for reform and change, little if any information can be found on the gender-bound behavior of teachers themselves – which, if the anecdotal piece of evidence above is to be exemplified, carries with it overwhelming information about what roles men and women are expected to fill within society. In that example, showcasing two observations, a female teacher, and the de facto primary instructor in the classroom, asks students to transition into a lesson activity. Following this request, a male teacher, who is also present in the classroom with a designated role of a supporting teacher, echoes the same request, but utilizes a starkly different approach in doing so. While the female teacher elects to prompt students with a frame of a request, the male teacher repeats the very same prompt as an order. As the lesson progressed, this dynamic repeated itself consistently, with both teachers (at least seemingly) comfortable in maintaining this role dynamic. Undoubtedly, my attention these exchanges has been much more explicit than any of the students’, but nonetheless there is no doubt in my mind that it played a significant role in informing them about how they themselves ought to behave the context of their own gender: Women request, men order; women are gentle, men are tough. For better or worse, we teachers carry immense formative authority over what our students learn; and this authority extends far beyond the content that we teach them. Our behavior, language, and interactional dynamics, continuously inform them of what is appropriate and what is expected. If we are to enact true and lasting change in how students interpret the role of gender as an element of identity, then it behooves to introspect and remain cognizant of our own relationship with it. Everything that we do in the classroom makes a difference. It is our responsibility to make it the different that we want. This entry was posted in Uncategorized on September 24, 2017 by Victor. The understanding around the importance of first impressions in a rather common one, and describes the powerful, sometimes overriding, impact that first impressions make in guiding and solidifying our views and opinions. In the context of teaching, this powerful process is usually manifest in the context of The First Day of Class. Teachers greet newly arriving students, guide them through some initial introductory lesson, and all the while implicitly demarcating students based on their behavior, apparent skillsets, and overall cooperation and participation choices. By the start of the second class, the sum of these observations is ready to be acted on. Students might be separated from other students based on their co-interaction during the first class, differentiation design might be implemented for students who were identified as needing it, and students who were identified as quiet might start being called-on more often. These are all critical components of effective teaching, and are fundamental for allowing the context of the class makeup to guide teachers’ instructional design. Yet despite all this, these early adjustments inevitably reveal an important caveat that is too easy to overlook: First impression are important, but can also be misleading. First impressions can only take us so far. The amount of information that we can gather in the context of single lesson (or even two) is inevitably limited, and we ought not to assume that one or two observations are even close to being sufficient to structure or education design choices. How a student may choose to act on the first day, and they ways in which they are ready to receive lesson content, can and does depend on variables that extend far outside of classroom dynamics. As powerful and important as initial observations might be, they can be as misleading as they can be empowering. Who students appear to be on the first day may not necessarily be who they might appear to be on the second, third, or fifteenth. Effective teaching, and effective instructional design around the context of one’s classroom, requires that we as teachers maintain attentive observation of our students’ behavior and needs throughout every lesson, and every encounter. Whatever we observe on first day, and whatever implicit or explicit conclusions that we may draw from them, we owe to both our students and our pedagogy to never stop observing, and never stop adjusting. This entry was posted in Uncategorized on September 17, 2017 by Victor. I’m standing behind a group of a dozen middle-school children. My partner is providing a brief explanation about an activity we’re about to do. It involves water, hip waders, and a search for bugs – so my partner and I feel pretty confident that we’ll have their undivided attention. Except we don’t, and I notice that two members of our class are chatting away on the side. As a teacher in training, I know that one of the most important things I need to establish is the management of my classroom. I can’t possibly allow such inattention to proceed, right? I mouth a short “Hey” at them both, regretting that choice almost as soon as I hear the word leave my lips. I don’t think that I’ll be doing that again. We’ve just met this specific group of students. We’ve been mandated with the responsibility of instructing them through a science camps of our own design, and it is the first day. It’s an opportunity for us to meet them, for them to meet us, and then choose which camp of three strikes their fancy most. They don’t know it, but it’s my first-time guiding kids their age through anything, and I feel as awkward as I could possibly feel. “I just want to be in a classroom” I say to myself as we are playing name games in the gymnasium. I feel awkward, uncomfortable, and not-for-the-first-time not so sure of my career choice. No one can know. Back by the water, they both look up at me, and one of them, the one who would unwittingly provide me with my first invaluable lesson about teaching, offers a snarky “what?” I don’t want to respond – I feel awkward, so I simply point towards my partner with the hope that I’m miming “pay attention”. I see the effect of my choice almost immediately. The one who said “what?” crosses behind me, arms folded, muttering “whatever, I don’t want to do anything anyway”. I did that – it was me. Through my inattention or inexperience, I became responsible for one of my students opting-out. With my partner leading the expedition into the water with most of our class, I remain standing there, awkward. Then it dawned on me: Of course I feel awkward. All these things around me are new, and weird, and so very outside of my comfort zone. And as I’m realizing this, suddenly this student’s behavior makes the clearest sense to me. There he is, in an unusual setting, doing unusual things, suddenly being reprimanded by a man who he has never spoken to before. Maybe, just maybe, he’s feeling awkward too (or uncomfortable, or self-aware, or put on the spot). And as I’m recognizing this, suddenly I’m not thinking about all the ways in which I’m feeling uncomfortable. Instead, I transition my attention to the one who should have it. “I don’t know, I think that some of them are cute”. “Really?”, I reply with honest curiosity, “Tell me more”. This entry was posted in Uncategorized on July 21, 2017 by Victor. A popular frame around content-driven education reform, at least from my own knee-deep observation so far, is the idea that our students, and not us educators, should be the experts in the room. This is, ostensibly, a stark departure from the classical model in which the educator was set as the expert and deliverer of knowledge. Under this new model, our role as educators in the classroom is to offer supports for self-driven and peer-driven inquiry, in which our students offer their own content-relevant questions, and seek their own content-relevant answers. Thus, we as educators are there to guide, scaffold, and support this inquiry. The impetus of this approach is to embed the learning experience with authenticity – students identify their own context-framed inquiry within the content space, and thus engage with that space in manner that’s more engaged, more rewarding, and thus more lasting. There is, at the same time, a seeming implication in this model regarding the importance of knowledge and expertise in us educators. It can be understood as something like this: If students are the experts, and our role is to merely support their inquiry, then we ourselves are not required to also become experts. I find this to be false. Our ability to scaffold effective inquiry is informed as much by the depth in which understand the content in question, as it is by our attention to the learning context of our students. If we want our students to engage with the context authentically, then we must also do so ourselves. I will gladly concede that this conceptualization of expertise is not mandated by this new educational model, but I will also argue that it can be seen as supported by it, and will say that its practice could do meaningful disservice to the learning outcomes of our students. This new model asks our students to engage with the content deeply and meaningfully – the least we owe them in return is to do the same. By taking the time and effort push our understanding of the content that we teach, we position ourselves ever better to give our students better learning supports. We can only take our students as far as we ourselves have gone. The farther that is, the farther still we can ask them to go. This entry was posted in Uncategorized on July 10, 2017 by Victor.